Been a little bit since I dropped in for a community discussion, but with all the excitement from last week I wanted to wait before getting something else up. This time, in continuing of our 2-Year Anniversary, I want to ask what y'all's Best Memory from the Fight is! 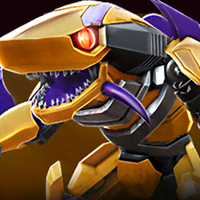 It could be the moment you got a bot you really wanted, maybe joining an alliance, winning a fight, or even a piece of the story! There are so many options to claim as your favorite and I really wanna know. Mine, for example, was getting Barricade as one of my first ever bots in the Fight. Sure he was a little baby bot, but he was MY baby bot. Though at the same time, my other favorite memory just revolves around the community of this game. Having spent all the time with you here is definitely something I get to look back at and smile about. Okay, back on topic: Let's hear it! What was your Best Memory or Greatest Achievement? When I beat act 4.....oh wait....devs get on it!! But seriously....probably pulling 5* generations bee a week ago, since hes so hard to get. Beating Rulers Of Kaon with no energon is definitely my greatest achievement and I was so happy once I did it! However, way back in the mists of time, the day I got my first 3* (Bonecrusher) and the game started really opening up for me. When the first Transmetal, Cheetor, entered the game (and absolutely rocked). Hear that? 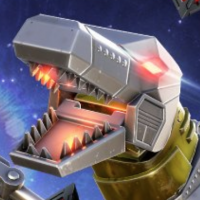 that's the sound of me being jealous of that Grimlock, but congrats nontheless! I definitely feel that on getting that first high star and just being so about it. That was definitely an awesome moment! Hopefully you're enjoying using him in your roster. That's amazing! Definitely understand that being a best! I think that Zibiit would agree with that entirely. 1. The time when opened 10 Hive crystals and TWO 4* Generations Bumblebee were pulled. 3. (not so much in-game related, but alliance related) The time when things were getting a little rough for the game (back in January), and the core of the team said, we're sticking together through this no matter what, because this is still the best Transformers game that we have every played together. Awesome on all those pulls and also :') that's so sweet, honestly. Thank you for saying that. I'm definitely sharing it with the team. No question it was the first crystal opening event and my crew had been saving crystals cause were a little crazy like that.. We end the event opening a ridiculous amount of crystals as there was an hour overlap between the release of Megatronus and the end of crystal event and the entire alliance is opening crystals as fast as we could. Then early rank show up and were 4th.... thinking how on earth did these other 2 allies finish ahead of us as they weren't even full... Guys are depressed, feeling like quitting cause our score was so good. But final rank hadn't been determined yet, of course we don't know this at the time. 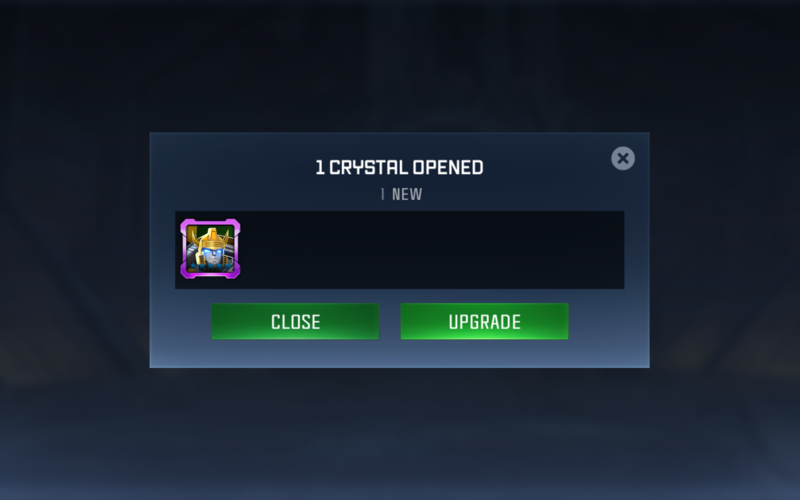 Getting my first 4*, Galvatron. Holy hell he's efficient in a fight, and boy do I love the RNG from that point in time. Absolutely! I was a HUGE Beast Wars fan and Cheetor is my all-time favorite bot! 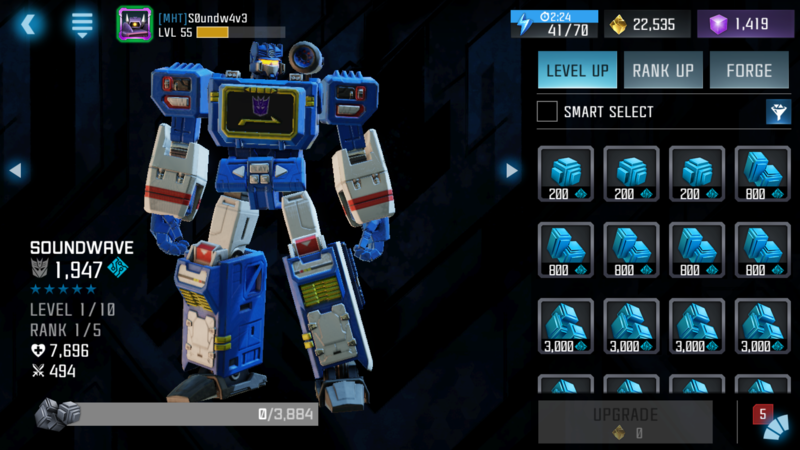 At the end of my first day playing this game I had three 1*s (Bonecrusher, Optimus (obviously), and Windblade), one 2* (Bludgeon) and one 3* (Hot Rod). I was on the last crystal I had at that time. I opened it, wishing for another 3*, but I somehow got a 4*! It was Hound, but still. I thought he was O.P.